On covering ‘Proud Mary’ in 1970, Tina Turner, born Anna Mae Bullock in Nutbush, Tennessee (in 1939), was already a veteran performer (she’d recently turned 30), having developed her formidable stage craft on the legendary Chitlin’ Circuit, where so many black artists learned their trade. 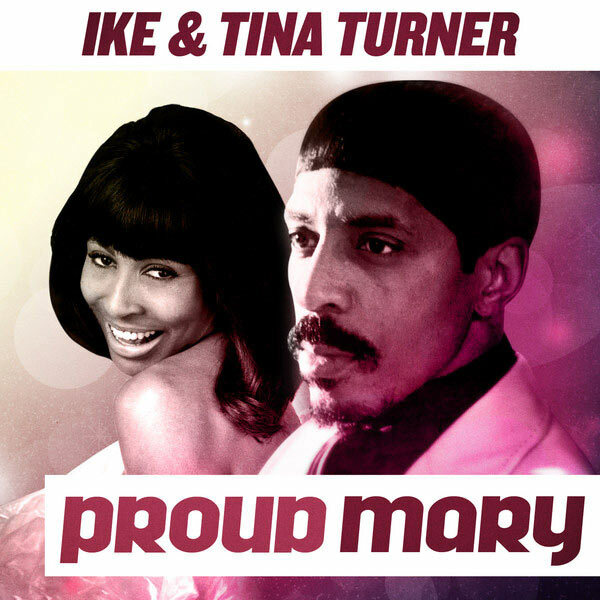 Ike & Tina Turner had been having hits on the R&B chart since 1960, but their classic recording of the Phil Spector produced ‘River Deep Mountain High’ in 1966 brought them to much wider attention, resulting in tour support slots for The Rolling Stones, and exposure to the Rock audience. Married to the ignoble Ike between 1962 and 1978 (the couple separating in ’76), her biography ‘I Tina’ (1986), outlined the physical and mental abuse she’s constantly suffered at the hands of her husband and musical mentor. The book was adapted into the blockbuster film ‘What’s Love Got To Do With It?’ in 1993, which served to demonise Ike Turner in the public consciousness. Given this negative reputation it’s easy to forget that he was very much a pioneer, cited by many as recording the first Rock & Roll record, ‘Rocket 88’ (1951), 3 years before Elvis Presley walked into Sun Studios in Memphis for his first historic session with producer Sam Phillips (controversially celebrated in 2004 as the 50th anniversary of the birth of Rock & Roll). Ike Turner died in 2007, aged 76. After a period of years out of the spotlight, Tina Turner returned in a blaze of hit making glory during the ’80s, taking her rightful place amongst the greats of popular music, and selling out shows all over the world. That said, despite enjoying the most commercially successful period her career, her music could never re-capture the vitality of younger days – she was now a more mature artist whose aspirational songs connected mainly with an older age group, as dictated by her new found status as not only a star reborn, but ‘a survivor’. She hasn’t toured or issued any new recordings since 2009. Funny you mention Elvis there Greg, I got introduced to ‘Proud Mary’ as a song on a trip to Graceland aged 22. It made me go and dig up the Creedence original. It’s on the ‘On Stage’ Elvis live album from 1970.